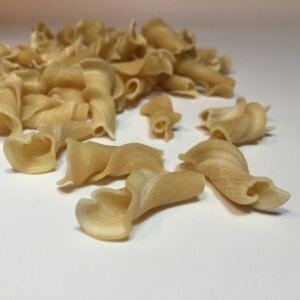 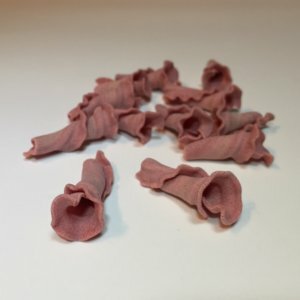 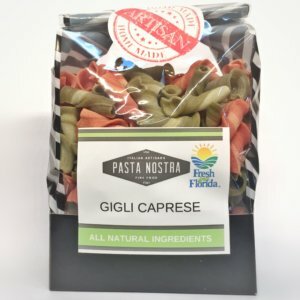 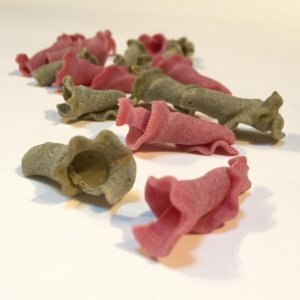 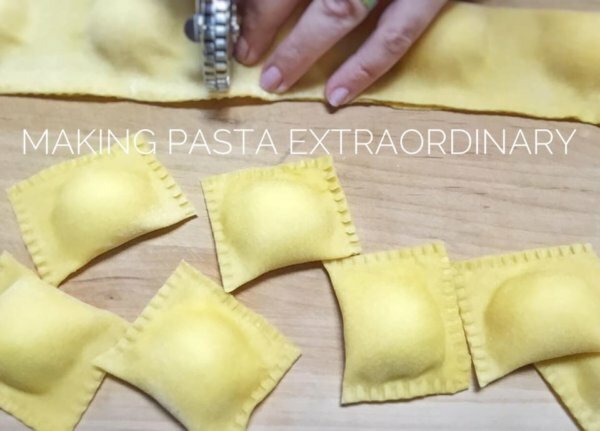 Categories: All Products, Handmade Stuffed Pasta. 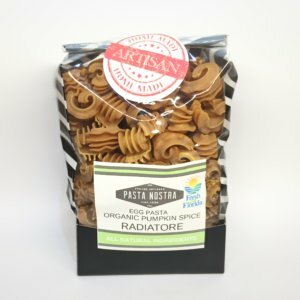 Ingredients for the pasta: semolina durum wheat flour and pasteurized egg. 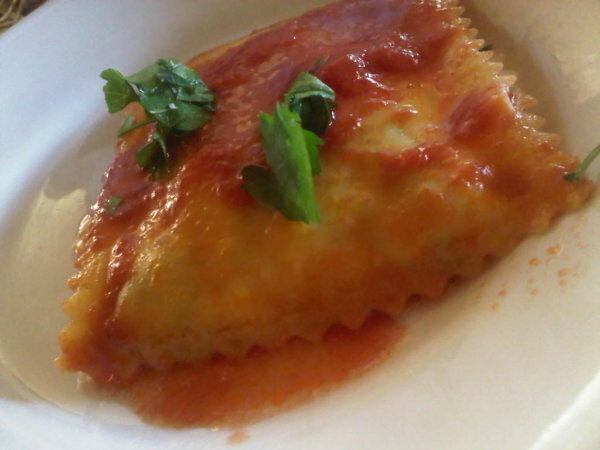 Ingredients for the filling: ricotta, Cheddar cheese, Parmesan, garlic, salt. 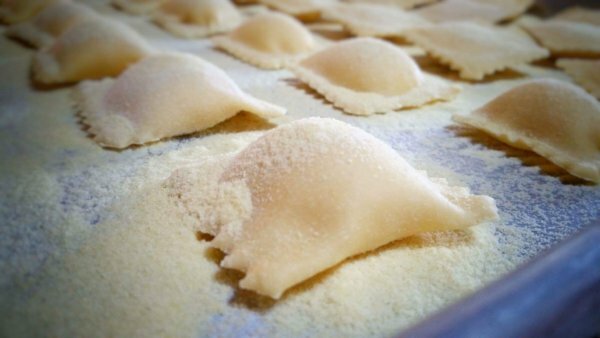 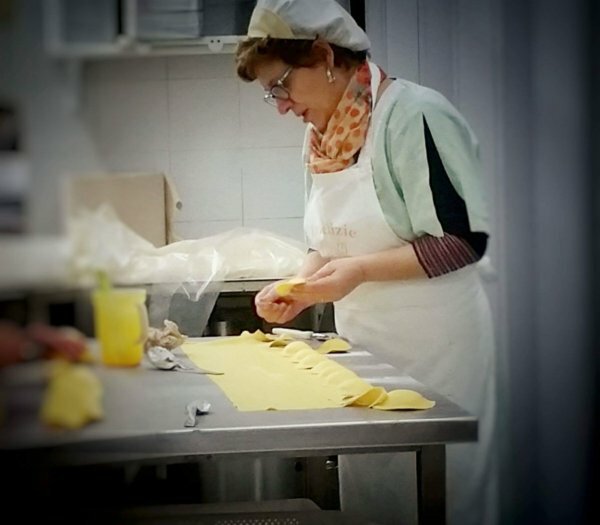 All of our ravioloni and raviolini begin with a sheet of fresh egg pasta made completely from scratch using only semolina durum wheat flour and pasteurized egg. 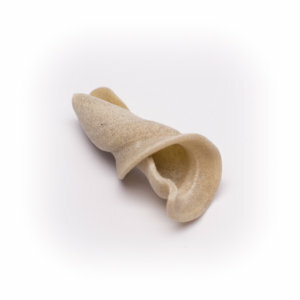 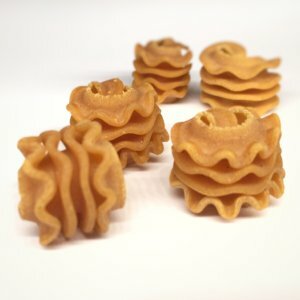 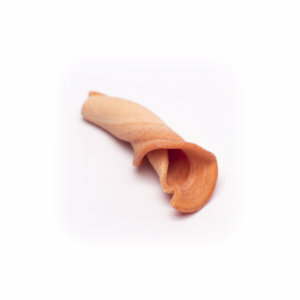 All of our fillings for our stuffed pasta have been developed from family recipes and contain all natural ingredients. 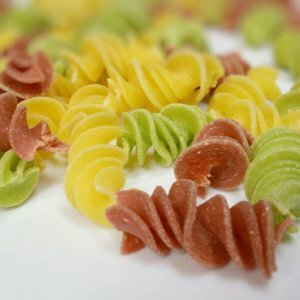 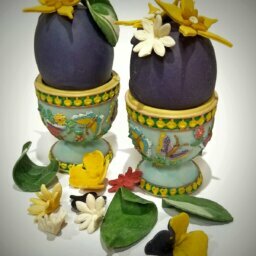 We are a small batch operation which means that we can and do create seasonal and bespoke fillings. 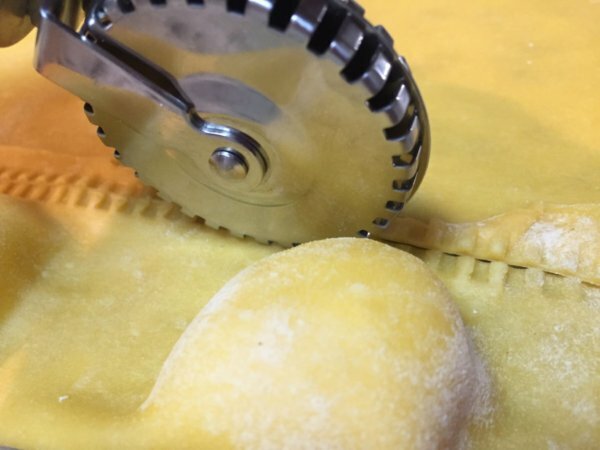 We cut our ravioloni approximately 2 x 2 inch and once cut, they are frozen in order to preserve freshness because we do not use preservatives in our products. 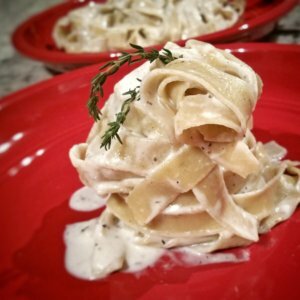 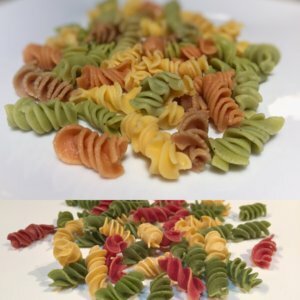 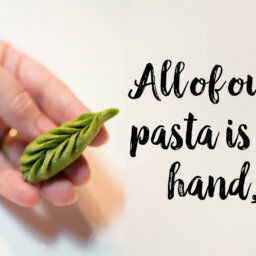 This means that the pasta we make for you is exactly the same as if you had made it at home and with the same attention to detail as you will find at any gourmet restaurant. 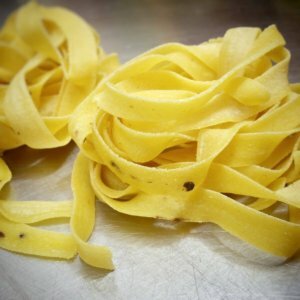 We are not limited to flavors or fillings and welcome your own suggestions for your favorites.